There is another opportunity to visit an international cafe on Fridays from 6.00pm to 8.00pm taking place in Salford. If you are interested in taking part in any of these – please contact us with the contact form. 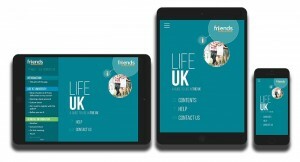 To help you with living in the UK there is LIFEUK! Now available to download to your phone or to order as a booklet. Moving to another UK city? Welcome to Great British Mag! We’re devoted to overseas students already in the UK and those thinking of coming over. As the only media channel for international students, our pre-departure editions and website provide the vital insights into living and studying in the UK. Our UK edition, which is distributed on arrival, is an essential guide in those early days. And our FACEBOOK | WEIBO | TWITTER and monthly newsletter also provide information and entertainment. If you are a student then join our community and we’ll keep you updated with great articles, VIP invites to exclusive events and great competitions and giveaways.